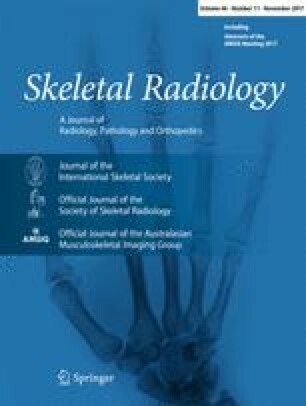 To develop age-, gender-, and regional-specific normative values for texture analysis (TA) of spinal computed tomography (CT) in subjects with normal bone mineral density (BMD), as defined by dual X-ray absorptiometry (DXA), and to determine age-, gender-, and regional-specific differences. In this retrospective, IRB-approved study, TA was performed on sagittal CT bone images of the thoracic and lumbar spine using dedicated software (MaZda) in 141 individuals with normal DXA BMD findings. Numbers of female and male subjects were balanced in each of six age decades. Three hundred and five TA features were analyzed in thoracic and lumbar vertebrae using free-hand regions-of-interest. Intraclass correlation (ICC) coefficients were calculated for determining intra- and inter-observer agreement of each feature. Further dimension reduction was performed with correlation analyses. The TA features with an ICC < 0.81 indicating compromised intra- and inter-observer agreement and with Pearson correlation scores r > 0.8 with other features were excluded from further analysis for dimension reduction. From the remaining 31 texture features, a significant correlation with age was found for the features mean (r = −0.489, p < 0.001), variance (r = −0.681, p < 0.001), kurtosis (r = 0.273, p < 0.001), and WavEnLL_s4 (r = 0.273, p < 0.001). Significant differences were found between genders for various higher-level texture features (p < 0.001). Regional differences among the thoracic spine, thoracic–lumbar junction, and lumbar spine were found for most TA features (p < 0.021). This study established normative values of TA features on CT images of the spine and showed age-, gender-, and regional-specific differences in individuals with normal BMD as defined by DXA.